‘Bee Movie’ left me with a distinct feeling of sadness mixed with apathy. It doesn’t help that I’ve been watching a backlog of unwatched Dreamworks films over the last couple of weeks and the ones I hadn’t watched before were the ones with mixed reputations. The leftovers were at best harmlessly mediocre and at worst near unwatchable. Dreamworks have a handful of genuine classic films, ones that can go toe-to-toe with anything Pixar have made. Aside from those few however, the rest are really disappointing. 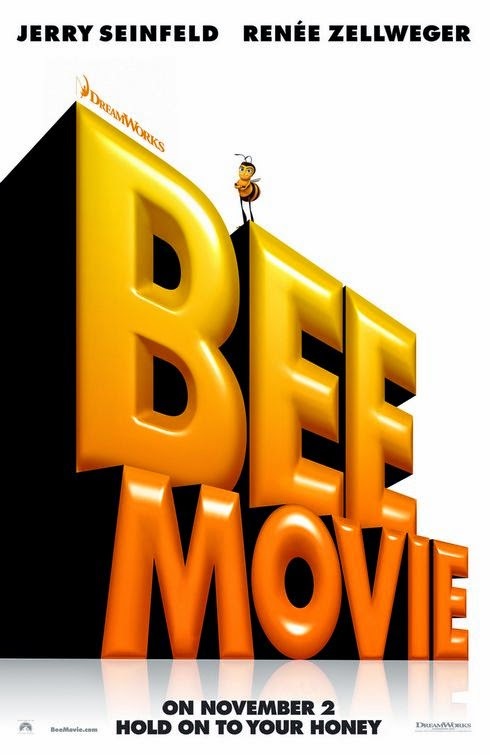 ‘Bee Movie’ just exists, that’s all it does. This was the only thought that kept running through my mind while watching. To explain the plot you basically take Woody Allen’s character Z from ‘Antz’ and have him fall in love with a human, then completely abandon that plot for a courtroom drama. Then you completely abandon that plot for ‘Airplane’ based disaster film slapstick. It’s interesting to see a three act film that has three completely different genres and stories played out in each. I can only assume that this film originally had three separate drafts that were combined because I can’t imagine this being the original format, unless it was sneakily adapted from an extensive trilogy of terrible books. Since this film has three pretty much separate stories I’m going to comment on them separately. Act 1 ‘Antz with bees or: How I learnt to stop worrying about original ideas from Dreamworks’. I suspect the first 20 minutes of this film could be played alongside the first 20 minutes of Ants and they’d line up perfectly. Barry B Benson is a bee who doesn’t want to be a bee, who doesn’t understand why the colony works the way it does. He has a friend who is happy with the status quo. Bees also have a pecking order, some are more important than others. 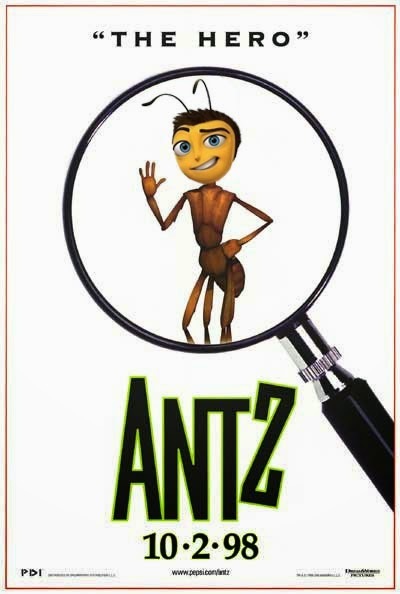 This part of the film is ‘Antz’, but ‘Antz’ without the clever script or design work and with about a million bee puns. “I’m going to get an ant tattoo” says the dissenting Barry, he might as well. As Barry leaves the safety of the hive and goes out into the dangerous world, he is saved by a human and that brings us to. So Barry finds himself befriending a human, one he is sexually attracted to for some reason. He is horrified to discover that humans collect honey from bees. 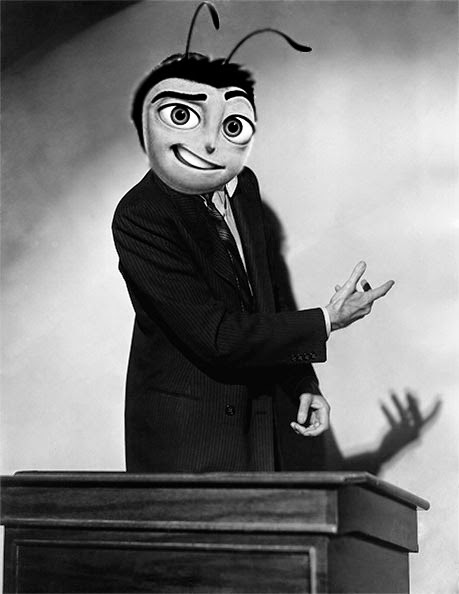 Upon discovering a bee farm, which is worryingly reminiscent of a concentration camp, Barry decides to declare a class action suit against humanity for stealing honey. Now I’d given up fighting by this point so I was fully willing to accept that a talking bee was fighting in a court case, that being said it is every bit as stupid as you would think. In addition to the absent minded holocaust imagery the film also makes, numerous, references to slavery. The film goes as far as to have the lawyer fighting Barry talk with a southern drawl. Barry shouts to him that bees shouldn’t be slaving over honey for the “White man”, I’M NOT EVEN KIDDING! Unfortunately Dreamworks don’t seem to realise that if you’re going to use real world situations for an allegory that it comes with consequences. Upon winning the case bees stop working and every plant in the world starts to die. I guess the lesson is we should bring back slavery or the world will end? The court section of this film is by far the strongest however. Barry has motivation and this part could have been a film by itself. I like the fact that Dreamworks un-ironically created a film about infringing on others intellectual properties, while also stealing their own ideas in the process. Anyways the flower death based carnage brings us nicely into. So for some reason Barry and his lady friend Vanessa decide to take some of the few surviving cut plants in the world to the bees for them to pollinate and thus save the rest of the plants from death. During this we end up with them having to land a plane, I would explain how this situation happened but I’d be making more effort than the script did. Having successfully landed the plane with the help of enough bees to lift a passenger jet, yet again I’m serious; the forager bees take the pollen and set out to save the plants of the world. Now I hate to be the one explaining this but pollen is how plants reproduce. Sprinkling it over dying plants will not, Evanescently, bring them back to life. Last time I checked running around a hospital furiously masturbating over terminally ill patients does nothing but get you a criminal record. In addition to this, plant pollen is not universal. In 99% of cases each plant needs pollen from the same species to reproduce. Also and this is the biggie, bee’s aren’t the only creatures to pollinate flowers; so them giving up wouldn’t kill all plants overnight. This film has a male mosquito obsessed with sucking blood, which male mosquitos can’t even do. 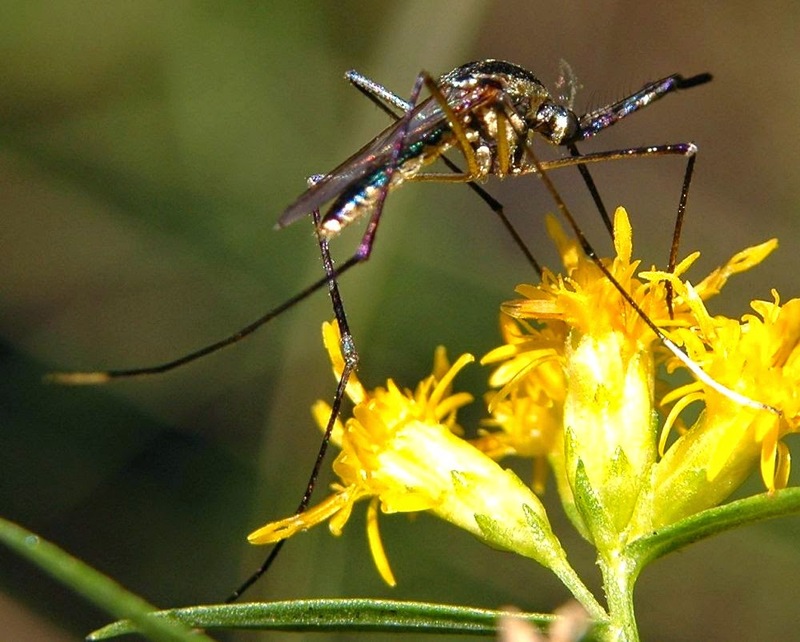 They instead eat sugar from plants, pollinating them in the process. Even if all pollination from animals were stopped, humans have been hand pollinating plants for centuries, why would they not do this in an emergency? The voice acting of this film is good, with particularly strong performances from Matthew Broderick as Adam, Barry’s friend and Patrick Warburton in full on Joe Swanson mode. Weirdly Chris Rock is in this film but, given his Madagascar role of Marty, he is trying to do a voice about as far from his own as possible. The celebrity cameos are dealt with about as badly as Dreamworks have ever managed. We meet Bee Larry King, who Barry is very quick to compare to human Larry King, complete with the rather odd description of “Very Jewish”. 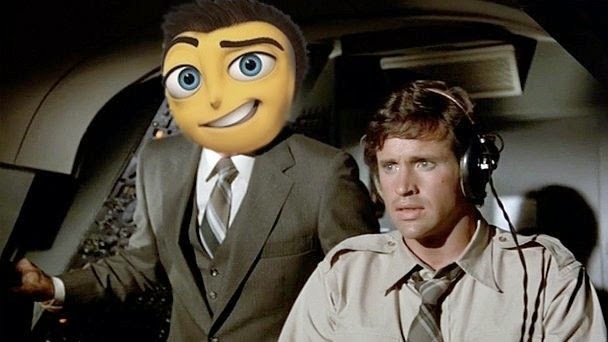 Thankfully the characters of bee-Columbus, bee-Ghandi and Bee-Jesus are only name dropped and don’t actually appear. Although we do get to see Winnie the Pooh sniped with a tranquiliser dart, so that’s something I guess? I get that this film is trying to give a message on the importance of bees to humanity, which they are. I fail to see how this script was decided as the best one to go with however. This script is not good, committed actors can’t save a script that simply doesn’t feel finished. We get the trademark awkward cameos, puns and weird sexual references that would be expected in any lazy Dreamworks film; thankfully we don’t get any terrible songs, although I suspect we would if they weren’t all hiding in the credits. This film isn’t good but unlike say, Shark Tale, it does have good performances from the cast and lots of interesting ideas. I suspect that this film would have worked a lot better with live action humans. This brand of constantly evolving narrative and comedy works when you have some element of normal everyday life to anchor it. Although 'Antz' managed it, so you might as well just watch ‘Antz’.